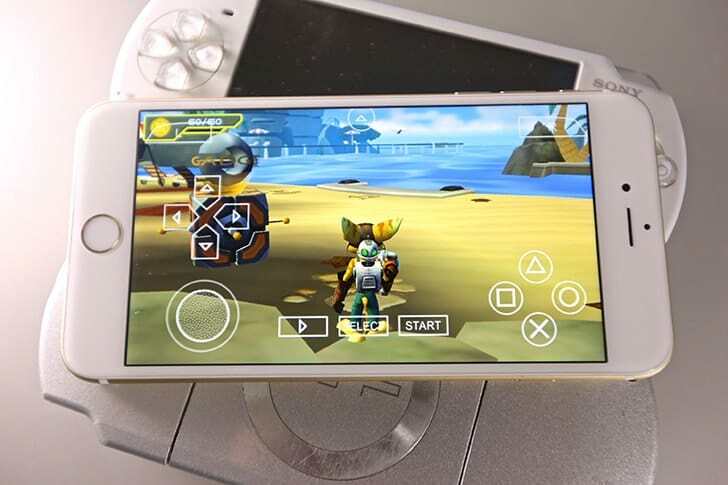 If you ever wanted to play PlayStation Portable games on Phone, iPad or iPod Touch, you’d require a suitable PSP emulator installed on your iDevice. Unfortunately, most PlayStation Portable and other retro game emulators are not available on the App Store due to Apple’s policy restrictions. PPSSPP is the only PlayStation Portable (PSP) emulator, which was originally created by Henrik Rydgård in November 2012; however, iOS builds are mostly managed by talented developer, Karen Tsai and a large group of independent contributors. PPSSPP supports all versions of iPad, iPhone, iPod touch running iOS 5 and above; this includes iPhone 5 and other retina-enabled devices. It requires ROM images to play, specifically .ISO or .CSO files; however, no ROMs are included with the emulator. Owned games may be added through iTunes Sharing or other file management apps that support the “Open In” feature. Other significant features of PPSSPP include customizable graphics, CLUT Texturing, improved ISO file system, PMP video format support, multiple UI language support, cheats, save and load states, and much more. To install this app, you’d usually need to jaibreak your iOS device. However, in this article, we’ll demonstrate how to install PPSSPP on iPhone, iPad or iPod Touch without jailbreaking the device. 2 Is PPSSPP Emulator safe to install? In order to install PPSSPP Emulator on a non-jailbroken iOS device, you need to subscribe to a service named BuildStore. BuildStore is a third party app store that enables you to install iOS apps from outside the App Store, without having to jailbreak your device. It uses a paid subscription-based model, and costs $9.99/year per device. On your registered iOS device, open Safari and navigate to the PPSSPP Emulator app page. PPSSPP Emulator will be installed on your registered iOS device. Is PPSSPP Emulator safe to install? Disclaimer: The article is only intended as a knowledge base for installing PPSSPP Emulator on non jailbroken iOS devices. 7labs may not be held responsible for any misuse of the information provided in the article.